Growing up, I remember wearing fun winter hats with giant pom-poms on top. I am not sure why I remember that, but I do. For years, I have avoided hats in the winter time. I have never found any that I like, that fit right, or are fun. A short time ago I started to crochet my own hats for everyone in the family. Guess who is hooked (no pun intended) on wearing hats again? 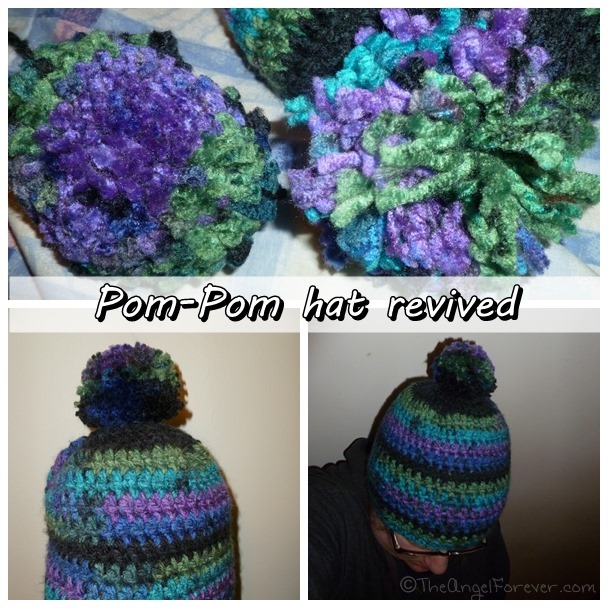 I have been making a lot of hats, but I was not in love with my pom-pom. I tried to make it on my own and did not have a lot of yarn left in the skein. The one for my mother’s hat was a little better, but did not make me happy. 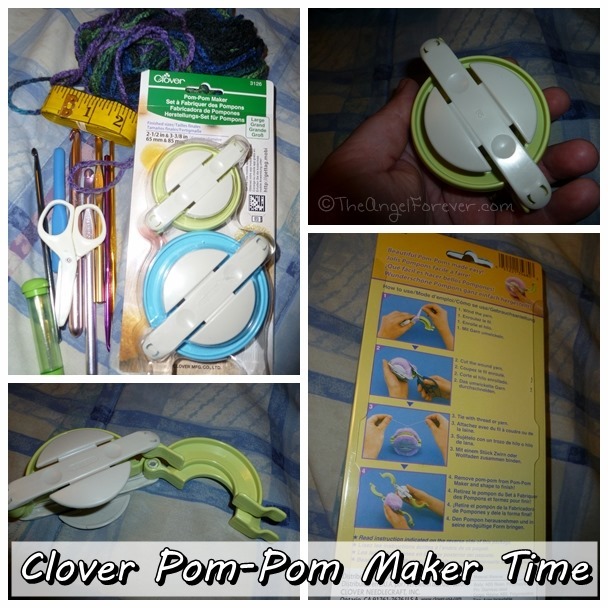 Thanks to Instagram, I saw photos of the new Clover Pom-Pom maker and wanted to check it out at the craft store. 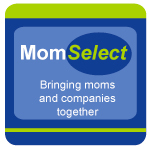 When I went to pick up some yarn for projects the other day, I stopped by to look at the different pom-pom making options. Since I am a Clover fan, I decided to get the large pom-pom maker to test out. I had some more of the yarn for my first hat to redo that sad looking guy on top. While the directions on the back of the box were easy to follow, I decided to check out Clover’s YouTube video to make sure I was setting everything up for the first time. Here are some photos from my process. I still need to help the shape out a bit and cut from yarn to fix it up a bit, but it looks so much better. Check out the sad old pom-pom next to the brand new one. Then, through a small procedure (scissors), the old pom-pom was removed and I sewed the new one in. 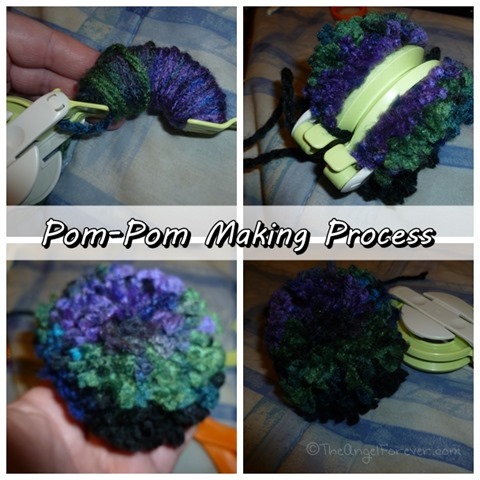 And, just like that, I fell in love with the Clover Pom-Pom maker that I bought at my local craft store. 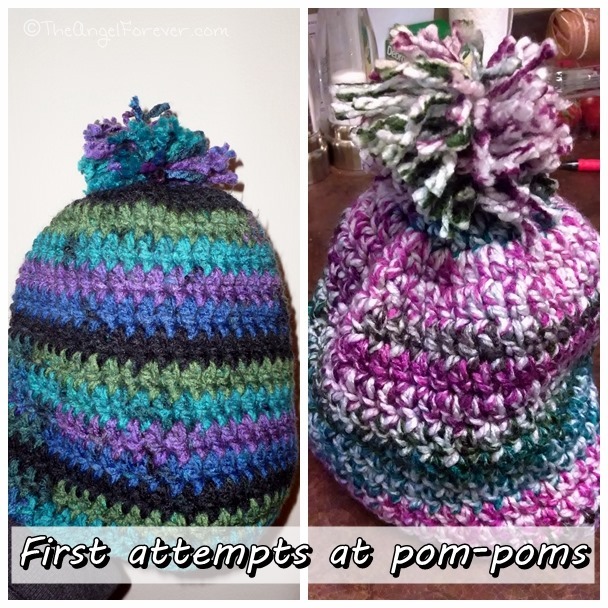 Are you a fan pom-pom hat fan, or do you prefer to have a plain hat to keep your noggin warm?